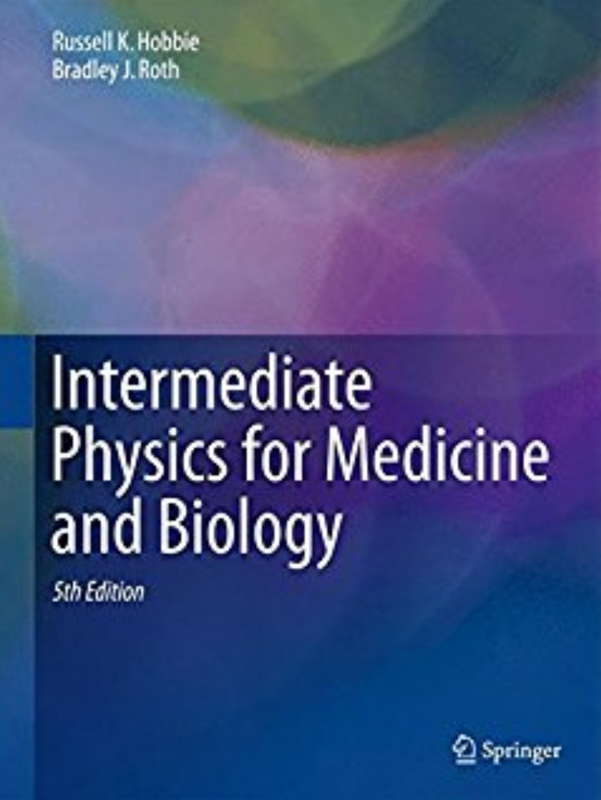 When Russ Hobbie and I discuss a special mathematical function in Intermediate Physics for Medicine and Biology, we often cite the Handbook of Mathematical Functions with Formulas, Graphs, and Mathematical Tables, by Milton Abramowitz and Irene Stegun. My copy is the paperback Dover edition, which is a unaltered replication of the original book published in 1964 by the National Bureau of Standards. According to Google Scholar, the Handbook is approaching its 100,000th citation, which means it has been cited on average about once every five hours for over 50 years! “Abromowitz and Stegun,” as the Handbook is universally known, has a fascinating history. According to David Alan Grier’s article “Irene Stegun, the ‘Handbook of Mathematical Functions’, and the Lingering Influence of the New Deal” (The American Mathematical Monthly, Volume 113, pages 585–597, 2006), the Handbook began as part of President Franklin Roosevelt's Work Projects Administration during the Great Depression. Grier describes the group gathered to calculate mathematical tables in the days before electronic computers. The WPA organized the Mathematical Tables Project in the fall of 1937 and began its operations at the start of February 1938. The project was designed to employ 450 workers as human computers, individuals who did scientific calculations by hand. Using nothing but paper and pencil, these workers were instructed to create large, high precision tables of mathematical functions: the exponential function, natural and common logarithms, circular and hyperbolic trigonometric functions, probability functions, gamma, elliptical, and Bessel functions. The Mathematical Tables Project operated in New York City and occupied the top floor of a decaying industrial building in the “Hell’s Kitchen” neighborhood of New York City. 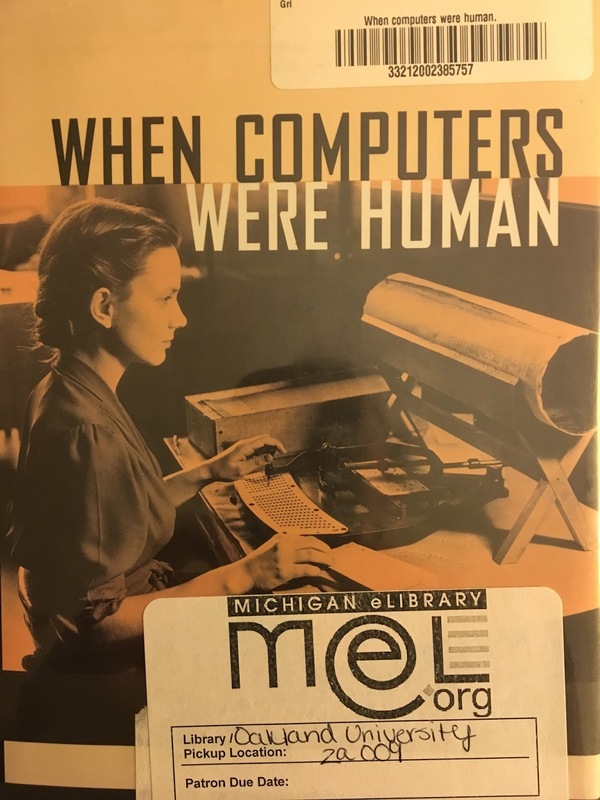 All of the project’s computers were drawn from the city’s welfare rolls and were desperately poor. Most had been unemployed for at least a year. Only a few had attended high school. Roughly 20 percent of them were polio victims, amputees, or handicapped in some way. Another 20 percent of the computers were African American. The project also had a large cohort of Jewish workers from the tenements of the lower East Side of Manhattan and a group, of roughly equal size, from the cramped Irish neighborhoods on the West Side. Approximately 45 percent of the computers were women who were supporting their families. The [Planning] committee [which included Abramowitz and Stegun] occupied a few desks in one corner of the project’s vast computing floor. From that corner, the committee oversaw the 450 human computers. Most of these computers had no mathematical training. Many of them did not know the steps of long division and at least a few did not understand negative numbers. 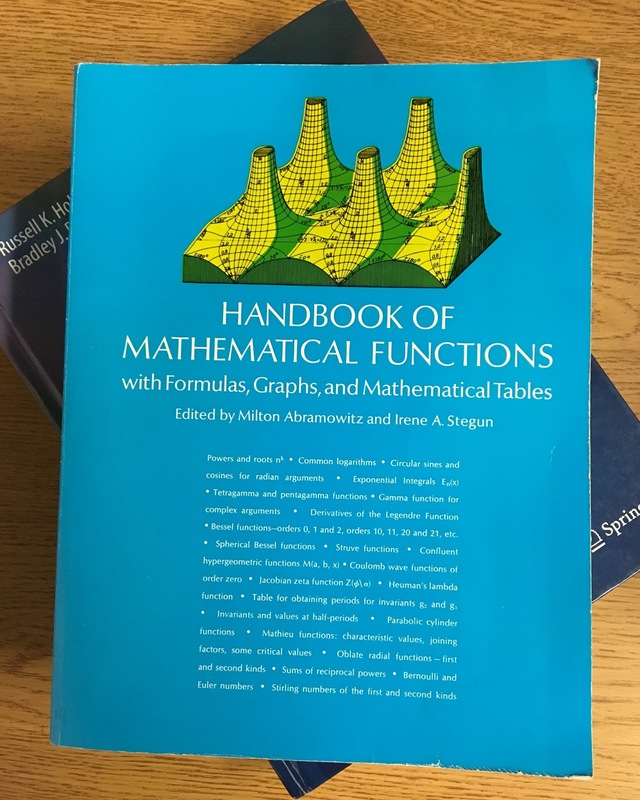 The Mathematical Tables Project eventually morphed into an effort to produce a definitive mathematical handbook. 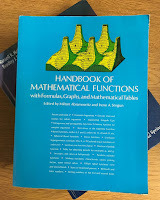 The Handbook of Mathematical Functions…is an unusual artifact, for it is both an example of a large, collaborative research project, which is a rare activity in the mathematical sciences, and one of the very few scientific activities of the 1950s led by a woman. As was often the case with early scientific contributions by women, the gender of the leader is obscure. The title page lists two editors, one male and one female: Milton Abramowitz (1913-1958) and Irene Stegun (1919? )… Initially, these two mathematicians shared editorial duties, though Abramowitz clearly played the leading role. He prepared the outline for the book, drafted preliminary material, and recruited the first group of contributors.... His role ended on a hot summer's day in 1958, when he unwisely decided to mow the lawn of his home in suburban Washington. Succumbing to the heat, he collapsed and died, leaving Stegun as the sole editor. 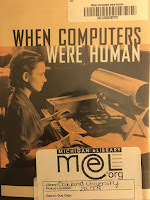 Grier has written an entire book about large scale computations done before the invention of electronic computers: When Computers Were Human. I've gotten it interlibrary loan and plan to read it over the holiday break. If you prefer listening to reading, watch the Youtube video of a talk by Grier, shown below. Anyone who watched the movie Hidden Figures saw human computers working for NASA. One of the best things about Abramowitz and Stegun is that you can access it for free online at http://numerical.recipes/aands. NIST (the National Institutes of Standards and Technology, formerly known as the National Bureau of Standards) also maintains an updated electronic math handbook at http://dlmf.nist.gov.